This is a book review of Post-Partum: From Shattered to Sane by Lauren Cecora. I received this book at no cost in exchange for a fair, honest, and truthful review. All opinions expressed are my own. There are links to the product reviewed and the services provided by Lauren Cecora. I receive no compensation for products or services purchased through these links. One of the major reasons that I transitioned MilKids Ed from casual blog to education coaching business is in pursuit of my personal sanity and overall well-being. Working full-time in a school environment, right now, and mothering two very small children is not working for me. Adding in the rigors and uncertainties of military life only added to my motivation to leave the classroom. After having my second baby, I knew I had to exit the traditional work environment to preserve my mental health. Post-partum depression (PPD) is no joke. It makes women feel and act temporarily insane. Personally, I couldn’t sleep, constantly blamed myself for every slightly negative thing that went wrong, and set completely unrealistic expectations. For a long time, I thought I was alone. Especially in the military community, it is hard to come forward and admit weakness. When it involves our children, it becomes even harder. Mothers are often the designated parent and pillar of strength in military families due to deployments and frequent separations. That’s why I was overjoyed to learn that another military spouse, Lauren Cecora, has been brave enough to step forward to share her post-partum story. Luckily, Lauren gave me an advance copy to read. I’m so grateful, even years later, to know that I am not and was not alone in this fight. Other moms, other military mamas, are also struggling with the exact same thing. Her honest discussion and crystal clear descriptions are sure to strike a chord with other mamas who are struggling with depression and anxiety following childbirth. Having a new baby is difficult, but for some of us it can trigger something deeper and darker. It was so heartening for me to know that others have experienced similar thoughts and feelings. One of the best parts of this book are the Sanity Savers. Instead of wallowing in her depression, Lauren methodically dug her way out. She reached out to her medical providers and sought out community supports. Most importantly, she developed systems to help her streamline her life and maintain her sanity. With her success, Lauren decided that her mission was to share and help others. As a result, she’s written her e-book and launched a consulting business to help others. 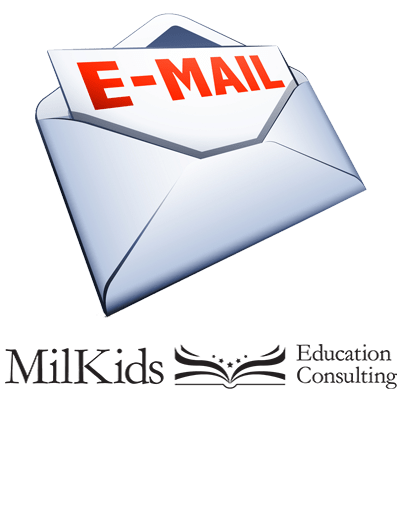 For MilKids Ed readers, you get a FREE Sanity Saver download! Follow that link, then scroll down past the photo and enter your email. Your free Sanity Saver will be sent to your inbox. Lauren’s book is a great place to start, especially for new moms who might be unsure of their symptoms or need nonjudgmental support. If you think that you or a loved one might be suffering from PPD, talk to a doctor as soon as possible. The earlier you seek treatment, the sooner you can start feeling more like your old self. I used medication, therapy, and exercise to recover, but your health care provider will have recommendations that will work best for you. Have you survived PPD? What helped you regain your sanity and happiness? Share your experiences with us in the comments! Want more MilKids? Check us out on Facebook, Twitter, Instagram, and Pinterest!